Hideaway Beach Resort & Spa is set to welcome Michelin-starred Chef Jean Marc Boyer for an exclusive gastronomic journey. From February 26 to March 8, Chef Jean, together with the resort’s Executive Chef Olivier Ramos, are set to create a sensory experience to delight the palates of guests, as the two Frenchmen combine their talent and presentation of traditional French cuisine, which is creative yet elegant with exquisitely balanced flavours. “We are pleased to bring in Chef Jean and more of his caliber in the future and so I am thrilled to be able to create something exceptional for our guests that will delight and amaze their senses during their stay,” Christian Szabo, General Manager of Hideaway Beach Resort, was quoted in a statement, as saying. 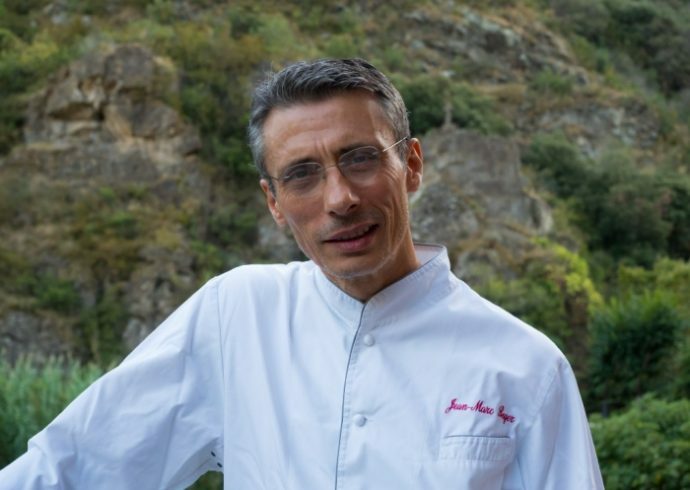 A disciple of Auguste Escoffier, known for his impromptu culinary style and astonishing creativity, Chef Jean developed his passion for cooking at a younger age and started as an apprentice at Le Reverbere in Narbonne (two Michelin stars). Amongst the few restaurant he had stints at are Bernard Loiseau Restaurant (three Michelin stars) in Burgundy and Lasserre (three Michelin stars) in Paris. He learned the trade in some of the world’s top restaurants which inspired him to prioritise the freshness of ingredients – “from the basket” concept, develop a high-quality, and elaborate French cooking philosophy. “This collaboration with world-renowned Michelin chefs in the industry, by creating exquisite dishes that will surely elevate the culinary dining experience of our guests at the resort really excites me and the whole team. We want our guests to experience fine dining and brassiere concept at its best considering Chef Jean’s specialty, and this, we will continue to enhance our culinary delights and do our utmost to cater everyone’s desire,” Michael Wieser, CEO of Lily Hotels & Resorts, said. Hideaway Beach Resort is located on the crescent-shaped island of Dhonakulhi in the northernmost Haa Alif atoll of the Maldives, 290km from Male. Characteristic features are unique quietness, comfort and privacy on 297,000sqm. A total of 103 spacious villas in ten categories were built at a great distance from each other in evergreen tropical vegetation and in the turquoise blue lagoon. A personal butler is available in almost all categories and fulfils all guest wishes. The culinary diversity is reflected in four restaurants and bars. With a paradisiacal house reef to be explored directly from the beach, Hideaway Beach is the only hotel in the Maldives with a fully equipped harbour. It also offers the largest rum and whiskey menu in the Maldives, and is home to The Spa at Hideaway Maldives, diving school Meridis Dive & Relax and a professionally supervised Kids Club.